Spending money on HVAC maintenance is not something people are happy about, but those who know the dangers of not keeping their AC unit in shape understand that it’s a necessity. However, keeping up with scheduled maintenance visits is not the only way to keep things running smoothly. The key to having a long-lasting HVAC system without constant maintenance is by reducing the total workload that system has to deal with. According to some HVAC contractors in McDonough, if you can reduce the amount of pressure your AC unit has to work with, the longevity of the entire system will improve significantly. The more heat your AC unit has to deal with, the harder it has to work. Just like any other machinery, the harder you work it, the faster it’ll break. The best way to take pressure off your AC is by reducing the amount of heat which enters your home in the first place. Sun rays make their way into your home primarily through the windows. If you have nothing protecting the windows of your residence, then your home will slowly turn into an oven. To prevent this, most Georgia residents simply blast their AC, but that’s not the best idea. Some people choose to use window film to reflect those sun rays, instead of absorbing them. Some high-quality window film can block over 90 percent of rays which hit your home, and that means your AC has to work much less to keep your home comfortable. If you live in an older home, chances are you’re dealing with a basic thermostat. Since your thermostat essentially controls how hard your AC unit works, it’s important to understand the disadvantages of working with simple technology. Basic thermostats have simple settings, which makes it hard to conserve energy and give your HVAC system a break. Modern models come with all sorts of options, some of which allow for full remote control using a number of mobile devices, while others can automatically adjust their settings when no one is home. For those of you who have an erratic schedule, having a thermostat which can automatically adjust itself is a good way to keep utility bills down when it comes to AC and heating in McDonough, GA.
Keep in mind that if your AC unit is more than 10 years old, it may be time for a change, especially if you’ve done a poor job of keeping up with maintenance. Experts say that an average HVAC system should last around 20 years, but after the 10-year mark, unit efficiency begins to sharply decline, which means higher energy bills and more frequent maintenance visits. 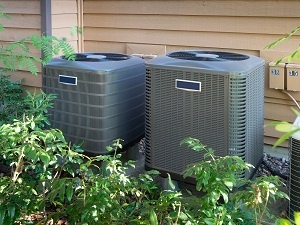 If you’re not sure what shape your AC unit is in, it’s best to call HVAC contractors in McDonough.